My grandmother passed away in her 50s from breast cancer and my grandfather eventually got remarried to Jackie—which made family holidays a little confusing since I was the “original” Jackie of the family. 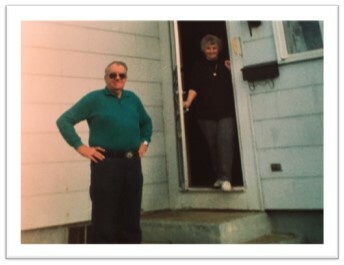 Anyway, my grandfather and Jackie resided together in Massachusetts. Jackie had one adult child from a prior relationship—a son who lived in Washington State in a cabin in the woods that did not have a working telephone line or running water. Needless to say, between the distance and the lack of communication, he was not a good candidate for helping Jackie with her health care decision-making as she got older. My grandfather had nominated my aunt, Donna, the oldest of my grandfather’s three children, to serve as his health care agent. Admittedly, the three children were not very fond of Jackie, but my grandfather requested that Donna also serve as Jackie’s health care agent since she had no one else to turn to. My aunt dutifully accepted the responsibility and told Jackie and my grandfather that she would do the best that she could to make sure Jackie was well cared for if anything should happen. Several years after my grandfather and Jackie signed their health care directives, Jackie, in her 80s, was diagnosed with uterine cancer. Jackie underwent a biopsy to confirm the diagnosis and assess how deep the cancer had spread into the uterine lining. The pain and recovery must from the biopsy left Jackie in rehab for a few weeks. When the test results came back, the doctor said that the cancer had not spread and was confined to the uterus. The doctor recommended that Jackie undergo surgery to remove the cancer. After seeing the toll that just the biopsy had taken on Jackie, Donna and the rest of the family questioned whether surgery was really the best option for a woman in her mid-80s with what appeared to be a very slowly metastasizing form of cancer. However, it was ultimately Jackie’s decision and Jackie of the generation that would dutifully do whatever the doctor recommended without question or second opinion, so the surgery was scheduled. Jackie had both a Living Will and a Do Not Resuscitate Order indicating that in the event of a terminal illness or if she were brain dead, she did not want life-sustaining measures such as artificial hydration or a ventilator. However, in preparation for surgery, the hospital required Jackie to revoke the Do Not Resuscitate Order for purposes of the surgery. The surgery itself proceeded fine. However, anesthesia is very difficult on seniors. It can cause confusion, disorientation, difficulties with swallowing reflexes, and in some instances, aspiration where food, liquid, saliva or vomit is breathed into the lungs and airways. After the surgery, Jackie struggled to recover from the anesthesia and was having swallowing issues and she ultimately aspirated. The doctors recommended that Jackie be placed on a ventilator (i.e., mechanical breathing). With limited time to make the decision, Donna considered that Jackie had willingly undergone surgery in hopes of removing the cancer and making a full recovery and the doctors indicated that they need for the ventilator would be temporary. Donna approved the use of the ventilator. Donna then proceeded to second-guess and agonize over this decision in the hours, weeks, months, and years after the decision was made. About a couple days later, Jackie woke, and the doctors were able to remove the ventilator. Jackie looked at Donna and the first thing she said was, “Why didn’t you let me die?” Jackie never made it home from the hospital as she passed away a couple of days later. My aunt and I are quite close. She confided in me a lot during this whole ordeal and in the years since. Those words continue to haunt her. It’s now been over ten years since this happened and she still brings it up. I don’t think words can adequately express the amount of anguish and second-guessing that Donna was left with—and this was for a step-mother that she wasn't even particularly fond of!! But the health care world isn’t always so black and white. There are a whole spectrum of potential health care and treatment decisions that your health care agent might have to make about your medical, long-term care, or end-of-life care. Some treatments might be quite invasive while others are non-invasive. Some care can be received in your home while other care might require moving to assisted living, memory care, or a skilled nursing facility. Ultimately, those vague statements end up not being very helpful in a real-world situation. That’s why we strongly encourage our clients to provide their family with more in-depth, thoughtful guidance about their health care, long-term care, and end-of-life care wishes. However, if we were to simply give you a blank sheet of paper and ask you to write down your wishes, we know most people wouldn’t know where to begin. That’s why we’ve taken the time to develop tools to help you document your wishes and we update these tools to keep up with the ever-evolving world of modern medicine. Through a series of worksheets and exercises, we’ll help you think through a variety of scenarios, treatments, and wishes to provide your loved ones with meaningful guidance to reduce their stress and heartache over future decisions they may face on your behalf. We realize we can’t predict every possible circumstance, so these tools are not written as rigid, strictly binding instructions, but rather, most of them are written as such that—guidelines to help your loved ones in the decision-making process so they better understand your overall intent and wishes. This article series explores how a well-rounded long-term care plan can help protect and preserve your independence and dignity while avoiding financial devastation and unnecessary stress to your family. This article series explores long-term care planning options beyond government assistance planning such as planning for eligibility for Medicaid or Veteran's Benefits.